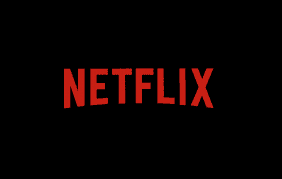 Netflix Login: How to Sign up and Login a Netflix Account: Undoubtedly the biggest online movie streaming channel Netflix as of 2018 has over 137 million streaming subscribers 58.46 million are from the united states alone. Producing own contents and also streaming outsourced contents. It stands an industry leader in the business of online tv. The website is mobile friendly thus, you can sign up from any device of choice. New users are entitled to a month free subscription. Click the “Join Free for a Month” button. On the home screen click the join for a month free button to start up sign up process. Despite the free trial, You will be required to provide valid payment details before completing the signup. Although you won’t be billed for the for the first month you will be prompted before billing starts for subsequent months. Click to see the name of plans and the pricing. There are three main plans. First, the basic plan (inexpensive, available for just one device at once and no HD). Second is the Standard plan (HD videos and viewership on 2 devices at a once). Finally, the Premium plan (Ultra high and 4k resolution, 4 viewership at once). Enter create an account, enter an email address and password and click continue. It has different payment options available to subscribers. There are basically three modes of payment. First card payment- Netflix accepts payment from credit and debit cards such as Visa, Mastercrd etc. Second is PayPal payment- Available to united states users, they accept PayPal transactions for subscription. Finally Netflix gift cards- the cards are available in a retail store. Follow the prompts to enter your payment details (or PayPal login information). Now you can log in and join up in fun of streaming Netflix movies. You can also sign up on a mobile device once you download the Netflix app, the process is pretty much the same.